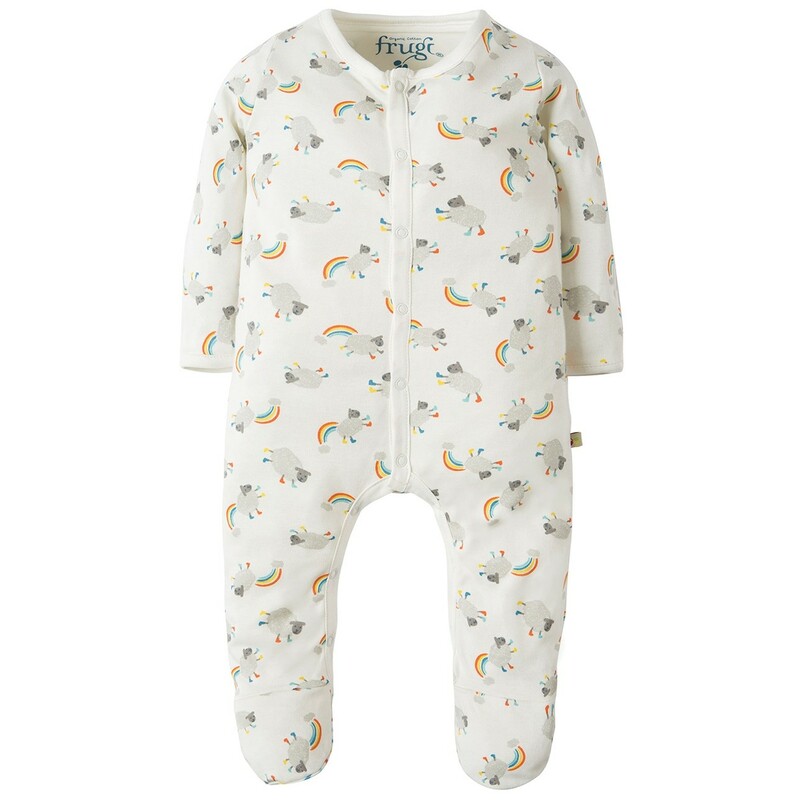 This My First Frugi babygrow is white with an adorable print of bouncing lambs and rainbows in muted colours. 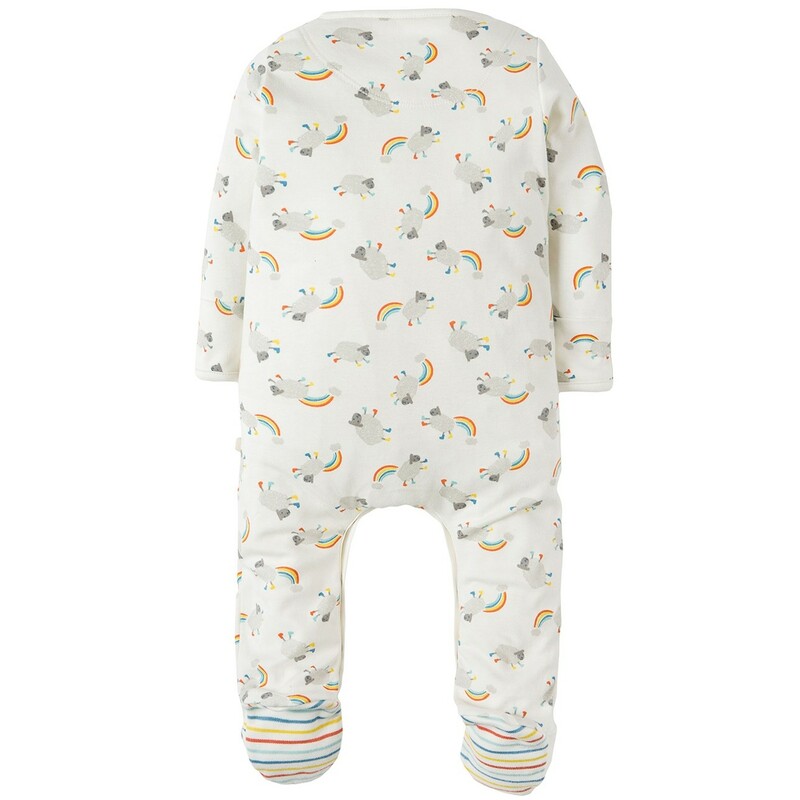 This organic babygrow has integral, fold-down scratch mitts, cosy feet and poppers running the front and legs for speedy changes. My First Frugi clothing is cut for cloth nappies and ethically made from 100% organic cotton which is gentle on delicate baby skin and cosy. Team up with matching items for an adorable gift for a new baby. 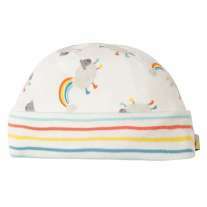 We love the My First Frugi range - soft, delicate and beautiful, just like a precious newborn. Everything is ethically made with soft organic cotton which is kind on sensitive skin and is perfectly sized for new babies. 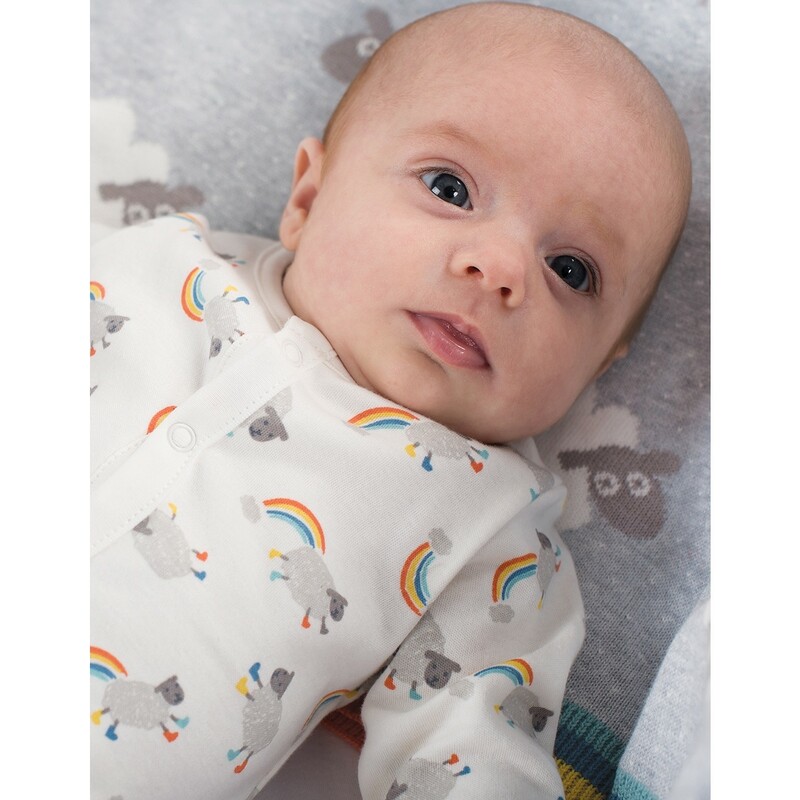 The My First Frugi clothing range is thoughtfully designed with the sweetness and size of a newborn baby in mind, including little poppers, a delicate colour palette that suits every newborn, small prints and applique designs. Whether you are buying a beautiful and eco-friendly gift for a new arrival or building an organic wardrobe for your own bump or baby, My First Frugi has everything you need. Frugi clothing is made with organic certified cotton which isn't sprayed with any chemical pesticides that can harm the environment or irritate baby-soft skin - so it's perfect for babies with eczema. Everything is made in fair trade factories in India where employees are given a fair wage as well as access to a free GP for them and their families.